Obituary for Vanilla (Jones) Block | Thatcher's Funeral Home, Inc. Vanilla “Jones” Block was born January 12, 1928 in McCaskill, Arkansas. She graduated from Blevins Training School in Blevins, Arkansas in 1946. After high school she attended Aileen Jefferson Beauty School in Kansas City, Missouri, where she received a Cosmetology License in 1956. Vanilla is the fourth oldest child of nine children, born to E.C. and Rhoda “Sampson” Jones. Vanilla married Tennyson Calvin (T.C.) Block, on October 22, 1949, they remain married for 51 years, until his passing in November 2000. Vanilla was preceded in death by her parents, Elias Cottrell and Rhoda Jones; her husband, Tennyson Calvin Block;all eight of her siblings; son, Levall Block; daughters, Shill Boddie and Ramona McCrae; granddaughter, DeAngela Briggs. Vanilla loved gospel music; listening to James Cleveland and Shirley Caesar. She was an avid sports fan loving the K.C. Royals, K.U. Basketball and the K.C. Chiefs. She also loved to fish and watch Family Feud. Vanilla accepted Christ at an early age. 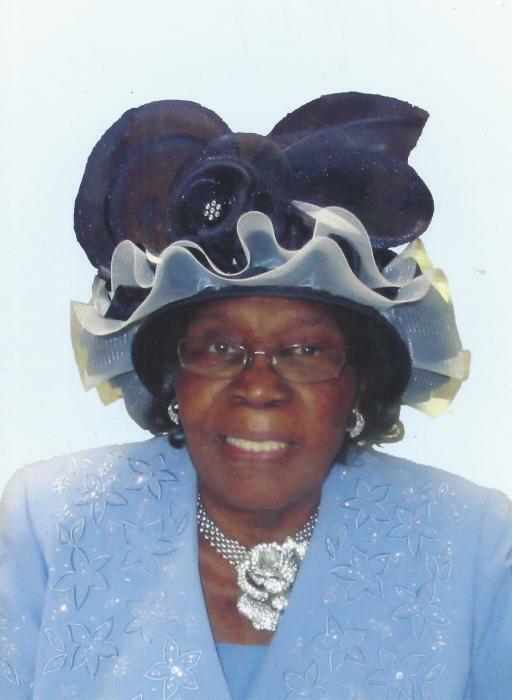 When she moved to Kansas City, she joined the Eighth Street Baptist Church and served a deaconess for many years. Vanilla participated in BTU Class #5, Sadie Johnson Crusaders Mission Group, Sunday School Class #5 and was Chairperson of the Kitchen Committee for over 42 years. She really loved to cook, she would always welcome people over to her house on Sundays and always had enough for whoever came by. She is survived by her three daughters, Sandus Block; Darlene Block and Renay Jackson of Kanas City, Kansas; six grandchildren, Chelsea Boddie; Dicarlo Jackson; Alcardio Jackson; Orlando Jackson; Jocelyn McCrae and Jasmine McCrae; nine great grandchildren, Eryka Thompson; D’Andre Richardson; Dicarlo Jackson, Jr.; Aliyah Jackson; Eryn Fant; Precious Boddie; Di’Layah Jackson; Kendrick Jackson and Saniyah Patterson; a host of family, friends, nieces and nephews; she also leaves two adopted daughters, Dora Boykins and Eloise Leslie; tree special friends, Edwynne Harrison; Lila Jordan and Wilermina Lemons; six in-laws, Ruby Johnson of Prescott, Arkansas; Herman Block of Kansas City, Kansas; Ludelia Cowan of Grandview, Missouri; Esteriean Scott of Oakland, California; Eddie Louise Jones of Richmond, California; and Niece Jones of Seattle, Washington.